I am saddened that I have run into some Christians who can no longer tell the difference between the words “true” and “historical” when it comes to the Bible. It saddens me because those who are most interested in truth are often missing out on truth because they tell me they can’t find it outside the historical. I tell my children the Jonah story almost every single night. It’s their favorite. And mine too. But what happens if the Jonah story didn’t historically happen? Does the book of Jonah lose any truth? I think not. Why? Because Jonah isn’t trying to tell a story about history but a story about the heart of Israel. The truth of Jonah isn’t in its historicity but in its story. In its exposure of ethno-centrism and exclusivity. In its revelation of God’s impartial grace. In the fact that I relate to it and that Jesus finds himself in it. So the question becomes: how do we know what books present themselves as historical and which do not? I am often told that if we say that Jonah (or even some other stories in the Old Testament) isn’t historical, what keeps us from saying that King David isn’t historical? And if you really want to scare someone into staying within the lines: what keeps us from saying that the Resurrection of Jesus isn’t historical? Well, um, the Bible itself, actually. But to see it, we have to be willing to lay down some of our assumptions and begin to read each unique book very carefully to see what it is trying to say about itself.  Oftentimes I am told that those who take “the whole Bible literally” (by which they usually mean historically) are taking the Bible seriously but I think they are not taking the Bible seriously enough. Again, like a parent, I can’t treat each of my kids the same way and expect to understand them all through that one lens. To treat them with respect is to see them as unique. And we already do this in some instances. For example, I don’t know of anyone who says that the Parables of Jesus are historical. But I also know of no Christian that would argue they aren’t true. The meaning of parables are not in their historicity but in their story, the point they are making. Maybe reading Jonah in the same way doesn’t seem that obvious to us, but that’s because, I think, we haven’t really read it seriously. We hear what it says but we aren’t really listening because we have already made up our mind about what it is and what it is allowed to say. I know many of us have been taught that the Bible is “plain” and so simple a child can understand it. That we should be suspicious of anything that sounds too complicated. *See Irenaeus in Against Heresies 5:283; Origen in De Principis Book 4:16; Augustine in On the Literal Interpretation of Genesis, 154; Gregory of Nyssa in The Life of Moses Book 2, etc. etc. etc. **Next week I will address the reasons why a close reading leads me to think we shouldn’t read Jonah historically.